Finally, after a very extended hiatus caused by work overload I’ve managed to get back on track with my art. 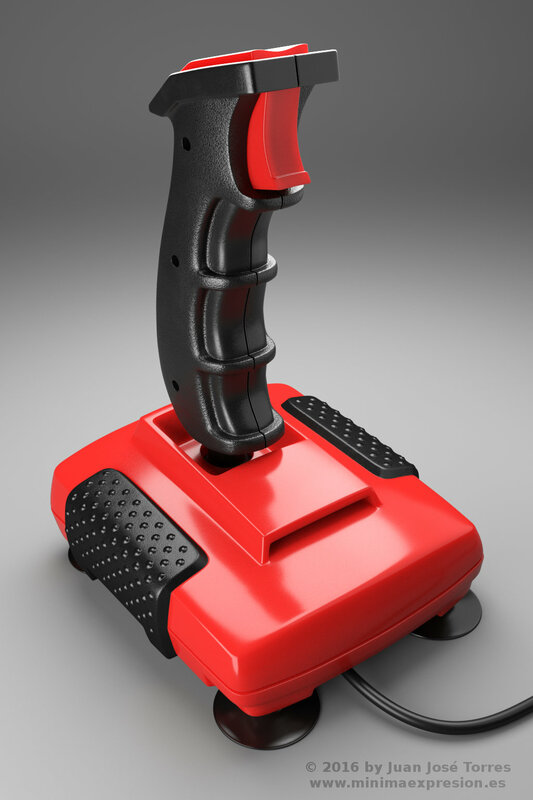 I left quite a few unfinished projects, so I have decided to start with one of the pieces that was closer to completion.So here I present you another one of my vintage hardware renditions: Quickshot II Turbo joystick from late eighties. As usual this was modeled with Blender (ver 2.78) and rendered with Cycles. Posted in Blender - 3D Art, Featured and tagged blender, cycles, eighties, model, modelado, render, retro, retro gaming.